Consuming a daily smoothie and/or juice has completely changed the way we function at the Blossom household- physically, nutritionally, spiritually, and emotionally. Why? It's all connected. When you're eating better, you feel better. When you feel better, you do better, you're more motivated, and you're full of life. Now I'm here to teach this lifestyle transformation through a simple smoothie/juice to you. Promise me one thing, okay? Promise me that you'll share this practice with your sweet littles and your family. We want you to incorporate smoothies and juices into a daily routine, which then becomes a healthy lifestyle. Our passion is to help families become healthier by taking simple steps, not drastic changes. 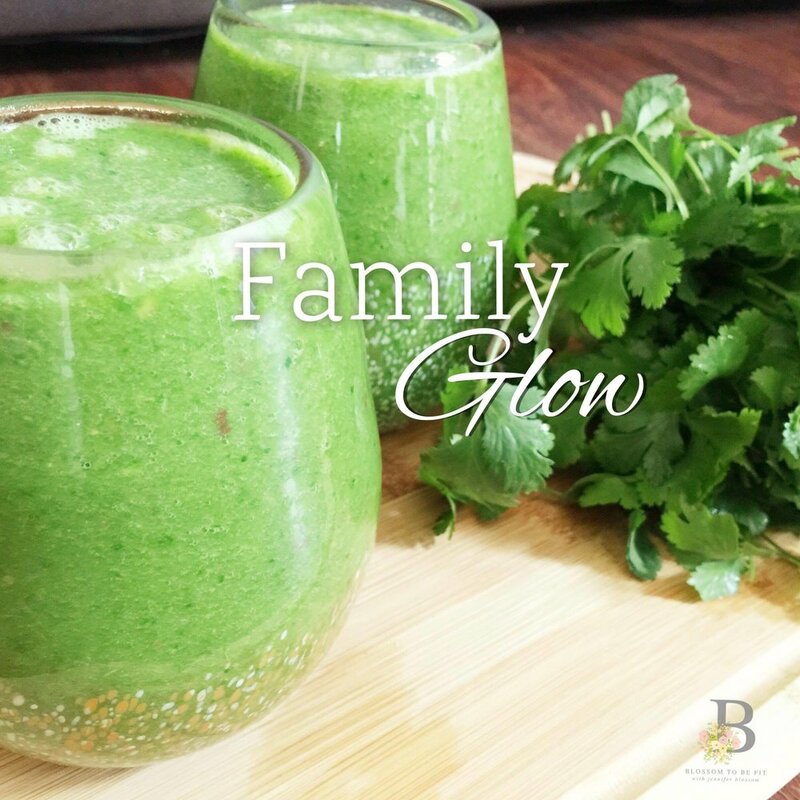 Now... How do you create a family glow smoothie that everyone loves? Simple. You get CREATIVE. What I want you to understand is this, adding a delicious combination of both fruits and vegetables into your blender is an excellent way to swirl flavors, textures, and taste. Slowly start incorporating "greens" into your daily smoothie with a mild leafy green (spinach is a great example). Have an equal ratio of vegetables and fruits in your smoothie and make sure you are not using ANY dairy. If you are used to using a dairy (milk) liquid, try substituting with a non-dairy base such as almond milk, coconut milk, coconut water, or organic juice. When your family begins to consume a smoothies on a regular basis, you are truly laying the foundation for wholesome nutrition on a cellular level. Small baby steps, Mom... this is going to last a lifestime. Now get to blending and don't forget to share below and snap/upload a pic of your gorgeous family glow smoothie using @blossomtobefit and #blossomtobefit! Can't wait to see!